Memory is a constant fixture in our lives; from the first memories of ourselves as children, to important moments in our lives, it plays a huge role in how we define ourselves. So what happens if we were to forget or lose large parts of those recollections? For many it is an intimidating prospect, but for people with amnesia it is a fact of life as they lose the ability to not only draw on information which was acquired before a particular date, but also to transfer information from their short-term memory into something more long-term. It was, in fact, amnesia and memory itself, which inspired an innovative art and science collaboration between Professor Martin Conway, a psychologist and expert on memory at City, University of London and the artist Shona Illingworth. Human memory is incredibly complex, encompassing brain-wide process, with a group of systems each playing a different role in creating, storing and recalling our memories. When it all works perfectly we get cohesive thought, but our memories are also prone to corruption and falsehood. Accidents and diseases can also impact on our ability to remember, leading to conditions such as amnesia. Having researched human memory for over 32 years, Professor Martin Conway is particularly known for his work on autobiographical memory, as well as the memory used for the experiences and knowledge of our lives. But it was a chance introduction to Shona 15 years ago in North East England which has led to a science and art collaboration which seeks to explore the condition. 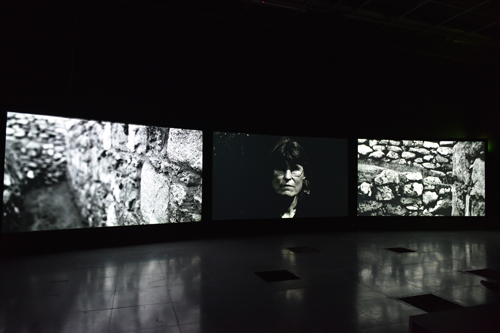 Having originally met as part of a Wellcome Trust funded project around memory, it was a women called Claire who has become a central figure in their collaboration and helped shed light on the subject. Following viral encephalitis, Claire had developed amnesia after the virus damaged parts of her brain responsible for memory. She was originally referred to Martin after two years of specialist rehabilitation in the Oliver Zangwill Centre in Cambridge. This led to work with Dr Catherine Loveday from the University of Westminster and research into autobiographical memory and the cognitive neuroscience of amnesia. To help Claire with these memory issues, Martin and Dr Loveday got Claire to wear a camera, called a SenseCam, which took pictures in response to sensory changes such as light levels, or body heat. By wearing this camera, Claire could capture moments in her day that she might perceive as significant events. This footage also became part of a later art project. Shona was also working with Claire around mapping her amnesia through art and helping her piece together her fragmented memories. These maps combined the possibility of new memories and also built in access to memories through the SenseCam project which Martin had been involved in. “Initiated by the introduction of trees, Claire could extend the branches to map her memory and represent broken connections to the past,” said Shona. “When we showed this to Martin we found that rather than the linear timeline model more commonly used to represent the past, this map corresponded more closely with the dendritic structure of the brain and also corresponded more closely to how memory works for all of us. 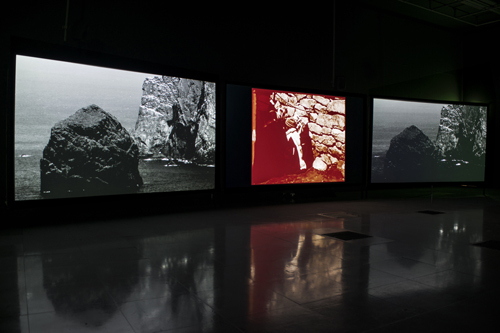 Claire has been a key figure in Shona’s Wellcome Trust funded collaboration with Martin and Dr Loveday called Lesions in the Landscape; Claire and the Island of Hirte, and the resulting three screen video and multi channel sound installation Lesions in the Landscape (2015), which explored cultural amnesia on the remote Scottish island of St Kilda. Completely depopulated by 1930, in many ways the fate of St Kilda mirrors the way that Claire feels about her own life story following the loss of her memories. This project also featured Martin’s explanations about memory and involved Dr Loveday too. “I grew up in the Scottish Highlands and was thinking about St Kilda, and its loss of language and people, and then the idea of the project emerged in 2012. The parallels between the landscape in St Kilda and amnesia also started to emerge, and this informed the project and Claire’s involvement,” said Shona. The work has also helped research at City in interesting ways too. As a result, through this art and science collaboration Shona and Martin have shown how such multi-disciplinary approaches, from disparate fields, can help us explore complex ideas. “At a time when we are facing increasingly complex challenges in the contemporary world, interdisciplinary approaches can open up new perspectives and can engage the public in more informed discussion about emerging scientific thought,” said Shona. Such approaches have also enabled complex ideas to be communicated in visual ways. Shona and Martin also continue their work, and recently curated an event at the National Theatre called ‘How Do We Remember’, which explores the process, role and function of memory in everyday life as well as for use as a creative tool.